zakka life: It's a Bird... It's a Plane... It's a Super Valentine! It's a Bird... It's a Plane... 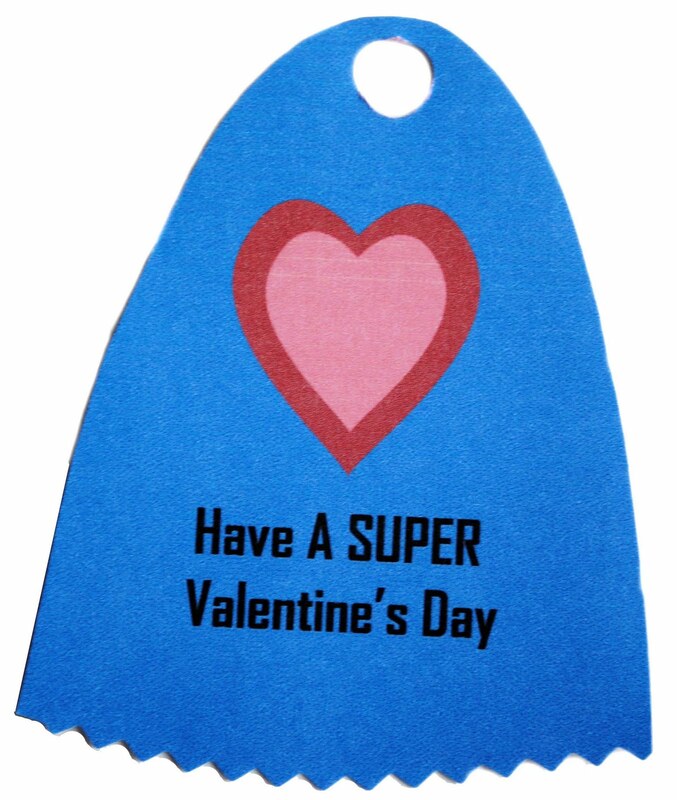 It's a Super Valentine! The directions and template for this Valentine has moved. Click here. LOVE these so much! thank you! Awesome and perfect for our 2 boy household! Thanks for the great idea. super cute! it will come in handy when my boy celebrates valentine's next year! thanks! Oh gosh that is so cute! you could do the same with a female super-hero as well! Fantastic idea! These are so great!! You are so creative. I just can't get over it. Those are the cutest idea I have seen this year. I am seriously trying to talk myself out of staying up tonight and redoing my son's valentines without his permission! What did you make for your son's Valentine cards this year? these are super super cute! LOL, sometimes I wonder how much I really pay to make Valentine cards when I calculate cost of printer's ink and time. Somethings are better left unknown. Hilarious!!! Those superheroes could save the world, one lick at a time. Cute cute templates - the masks are killing me! These are really cute! 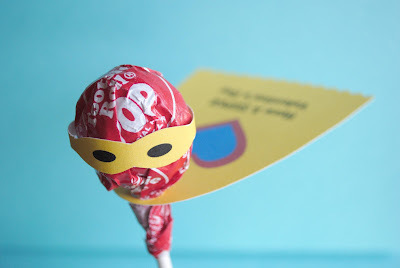 Since young my son has always referred to a lollipop as a "SUPER-Lolly", because when you remove the wrapper, but leave it on the stick...it looks like a cape...you know what I mean? Anyway, these made me smile! "Super" cute! Thanks for the template! What a clever idea! Would be a wonderful super hero birthday party favor as well. Super adorable! I think I will be making a version of these for my son's superhero party this summer. Your creativity is mind blowing! I want to be a mom just like you when I grow up (LOL!) <3 from a devoted follower!! thank you...this will be a great party favor for my daughter's super hero party! GREAT idea!!! Thanks for sharing... maybe next year! Oh, darn, I didn't see your blog posting until now. That is the cutest idea...ever! How fun; perfect for little boys to give out. Glad you like the valentines. Maybe next year you can make them. this is super amazingly cute. Super lollipop! I hope to find the star where folkglore has it, you get another free lollipop! 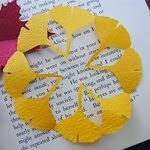 I absolutely love this idea, full of whimsy. One could use it for other occasions as well. I hope you had a great Valentine's Day. I have a laugh with this! So funny! I'll save it for later! Thanks! Cute! Cute! Cute! I'm going to have to do this next year. My almost two year old is having a super hero birthday party in April and these are PERFECT! Thank you for sharing your idea! awesome idea! I`m definitely going to do this with my boys next Valentine`s day... Thank you! I found this post through The Crafty Crow and just wanted to thank you for your great idea. We didn't use these as valentine's BUT my son's 4th birthday is the 15th and we used them as favors for his party. They were a HUGE hit. Thanks again! These are totally cute! I'm bookmarking this one! Just saw these on Pinterest!! Showing my sis...my niece wants a superhero sweet 16 next march and these would be so great as favors!! Great, great idea!! Thanks! Saw these on Pinterest - bwahahahah! Thank you! My son's class will love them. Love these! I am so making them for my son's kindergarten class! Did you just use a standard hole puncher for the stick holes? Perfect for my son's preschool class - All boys! These are very cute! I just printed out enough for two of my boys' classes and it is a lot of ink! Just a suggestion; could you make the templates with just a black outline (not colored?) Then we could print them on any color cardstock we wanted and save ink too. Thanks again for the cute valentine! I LOVE this and will be using it for my daughters class. Thank you! I am featuring it today! Adorable! My son loved this idea. Thank you so much! Holy cow! This is perfect, and my five year old daughter also loves super heroes! Thanks for sharing! These are adorable! Thank you so much for the free download. My son LOVES superheroes and is excited to give these to his classmates on Valentines. I was so excited about these that I put a link on my blog to this post. my son has an alias of Agent L has been that way for several years now. These aren't really a spy but in his eyes spies and hero's both do good so he LOVED them and cannot wait to give them out to all his friends! my sister sent me the link she uses pinterest all the time but i definatly have told many of my friends! 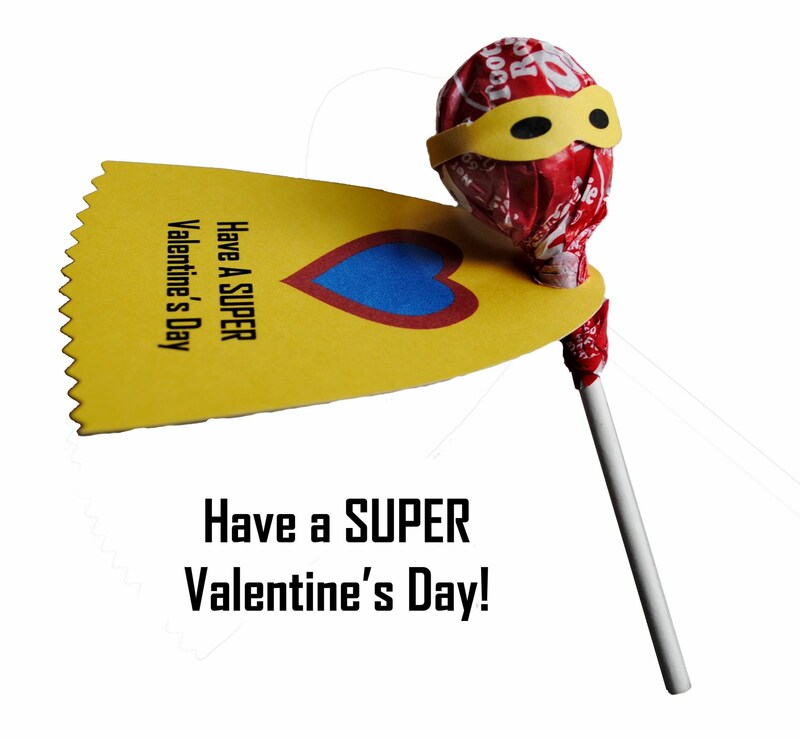 We're huge SuperHero fans at our house and are excited to make these for classroom Valentines this year. Thanks for sharing your templates! I'm going to make these for one of the mailbox surprises for our Valentine countdown. Thanks! I am doing a segment on my local Fox affiliate's morning show about kids DIY Valentine's and wanted to know if I could bring this idea with me to show off? 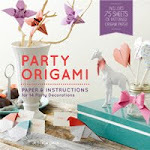 I will also link about it on my blog and have a link on my blog to get to your site to download the printable. Giving you full credit on my blog of course. 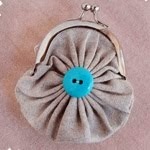 I love this idea so much, I just featured it in my "Boy's V-day round-up". Thanks for the inspiration. Glad you could use them. This is by far my favorite boy valentine idea that I've found. I didn't use your printables, but made my own to print on different patterned scrapbook paper. Thank you so much for the idea! My son will be handing them out at preschool next week. cutest idea ever!! My son is so excited to make these. Thank you so much for sharing your creativity!!! I had to tape my cape on. What did I do wrong? Very cute! Try pulling the cape over the wrapper part and it should stay in place on its own. (refer to pictures). Thanks so much for sharing! These are so fun! Thank you so much for sharing, these are so awesome! Found this through Pinterest. What a terrific idea! Buying supplies today to make these with my child for Valentine's Day. Thank you! Always amazes me how clever people are. These are awesome and so much fun. Thank you so much for sharing this printable. My daughter & I had a blast making these and I know the boys in her class will love them :) You are the best! When I print these there are lines across the cape and mask as if they were printed on notebook paper. What am I doing wrong? Thanks so much for this adorable inspiration!! We did a take on these with our girls and they are so cute! These are SO cute! Thank you for sharing! We made these at our house last night. Perfect for our little 4 year old superhero to hand out to his friends. These are very cute. You did a nice job with them. They are exactly like the ones featured in the Disney Family Fun magazine February issue. If you used them as inspiration, you should include a link back to the source in your article. Thanks for the concern. Actually, I'm the original designer of the Valentines and Disney bought the rights from me to use them in their magazine. THANK YOU! My 4-yr old son is very excited about these. my church would really like to use this idea for fathers day. is there anyway to change the colors and take off the words and hearts? Thanks for the great idea! My son loves super heroes and I can't wait for him to bring these to daycare for his buddies. Bought the lollipops today! Tried to print these off and the quality is awful when you make the picture bigger. Am I doing something wrong? I copy and pasted into a word document and then enlarged the picture. Thank you for sharing! I'm totally using this for my preschooler. Uggh..... always someone has to stir up some trouble. Even if it's just a smidgen. Sooooooo Annoying! Go make some Valentine's with your kids and give your sassy thoughts a break. My son is cutting out his capes and masks this very moment...he is so excited. Just exclaimed "oh yeah" in fact. Yep I'd say he's excited!!! Just exactly what I was looking for!! Thanks! I made these for my Cub Scouts. They loved them! Thanks for your great idea! thanks for the cute idea. I made them for 2 boys. Thea turned out great! What size should these be printed for them to be the right size? When I save the file it's 17" x 22". They sized to fit on a 8 1/2 by 11 paper. Absolutely the cutest "BOY" idea I've seen in a long time. Do you have another lollipop idea or something for a "GIRL" also? These are so fun! Thanks for sharing. My six-year-old girl is REALLY into super heroes... especially Wonder Woman. I found this site through a Google search. Thank you greatly for the idea! Had fun with this. Made 35 of then for my 4 yp old grandsons classmates. So cute and very creative. this is a super idea, really dig it! i love that it's girl and boy friendly and will work for various lollipops. thanks for sharing this! These are so awesome! Thank you! Thank! This is the second year we make those for Valentine's Day.